The Mr. Sandman Motel proudly offers spacious and well-appointed accommodations, modern function rooms with superior amenities near Boise. From the moment you walk in through our doors, we greet you with a smile. You will receive 24-hour assistance. The staff at Mr. Sandman Inn & Suites looks forward to assisting you with all your hotel needs. Mr. Sandman Inn & Suites is ideally located to reach most of Boise's famous sights, landmarks, museums, and points of interest. Your day will start off with a delicious continental breakfast of fresh pastries, bagels, waffles, assorted cereals, oatmeal, fruit, assorted juices, tea, hot chocolate, and many tasty blends of coffee. After a long day of pleasure or work you can enjoy the indoor hot tub or during the summer months, lounge around the pool. 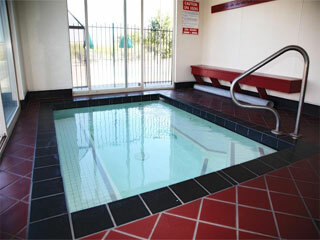 Guest have free, unlimited access to the workout facilities of the Idaho Athletic Club. 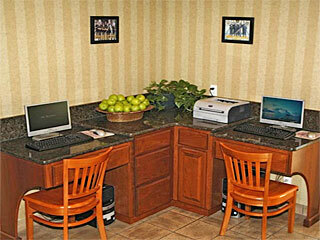 For those guests who still have work to do, they offer free wireless high speed internet access and free business services such as copying and faxing. An exciting visit to Wahooz Family Fun Zone, Bogus Basin Ski Resort, Roaring Springs Water Park, Edwards 21 Theatre, Boise Airport, Meridian Speedway and many more... is only a quick trip from your Mr. Sandman Inn Suite. 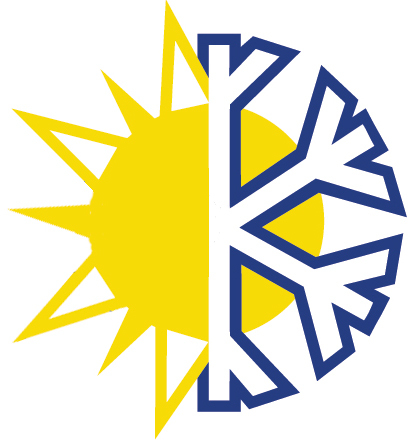 We're conveniently located near all that you would expect to find in the Meridian area and some you never thought were here. 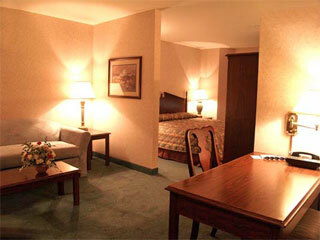 Mr. Sandman Inn & Suites has 85 tastefully decorated rooms, 17 king suites and 4 king jacuzzi suites. We offer unique and luxurious accommodations for your next romantic getaway, holiday retreat or executive group travel in the treasure valley of Idaho. 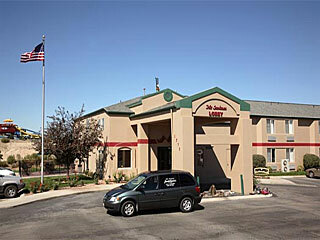 InIdaho has been partnered with Meridian hotels and motels for about 21 years. 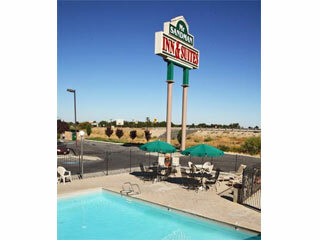 We guarantee the lowest prices for Mr Sandman Inn & Suites reservations. 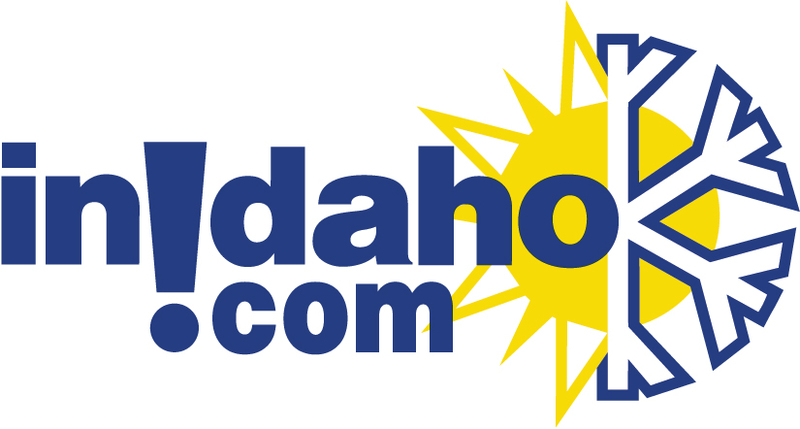 Our local idaho business is staffed by friendly and efficient employees who appreciate that you choose to make your reservations for Mr Sandman Inn & Suites with us. Our rates are always the same or lower as calling the Mr Sandman Inn & Suites direct. 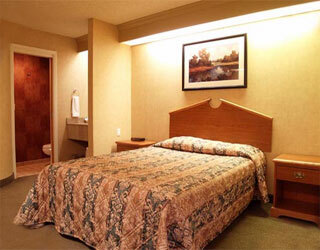 We also offer group rates for Mr Sandman Inn & Suites - just contact us! We do not have any current pre-built packages for Mr Sandman Inn & Suites . 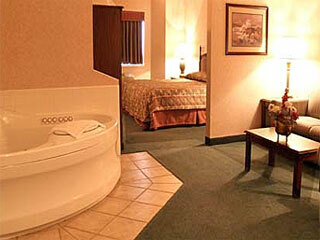 This guest suite offers a king bed, jacuzzi tub, hairdryer, iron & iron board, refrigerator and cable TV. This guest room offers a queen bed, hairdryer, iron & iron board, refrigerator and cable TV. This guest room offers two double beds, hairdryer, iron & iron board, refrigerator and cable TV. This guest suite offers two king beds and a living room with a sofa sleeper. It also offers a hairdryer, iron & iron board, refrigerator and cable TV. This guest suite offers a king, hairdryer, iron & iron board, refrigerator and cable TV. 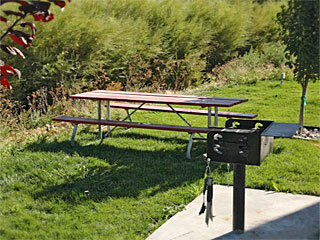 BBQ available for guests use. Please note: Guest reviews may mention certain amenities that may no longer be offered with Mr Sandman Inn & Suites. Please check the amenities prior to booking to confirm. "The rooms were clean and tidy every day and the people at the desk most helpfull and friendly. We felt very welcome ." "The motel was advertised as having queen beds. The beds were double. If I had known double beds I would have selected another motel." "I wish it had coffee makers in the rooms. But they were nice overall. Thanks."